Just a second while I fix my whole life. Just a minute, I really should be less right. In the second half of 2013, following years of near-constant touring as the front-man of the critically acclaimed BC outfit Yukon Blonde, Jeffrey Innes suddenly found himself in possession of an unfamiliar commodity: free time. With Yukon Blonde on a temporary break between albums, Innes was back at home in Vancouver, but rather than spending his downtime relaxing, he launched the solo project High Ends as an adventurous new songwriting outlet. "I initially wanted to do something that was really collaborative, so I wrote a bunch of songs with the idea of bringing friends in," Innes remembers. "But all of my friends were on tour, so I ended up doing it myself. This prompted a feverishly creative burst of unfiltered solo experimentation, with most of the material written quickly using an array of analogue synthesizers. “The Weight” was the first song released from the new project, lauded by Pitchfork for "tapping into a bygone era of retro-futurism... akin to American weirdos of various unseemliness from Ariel Pink to Jim James." 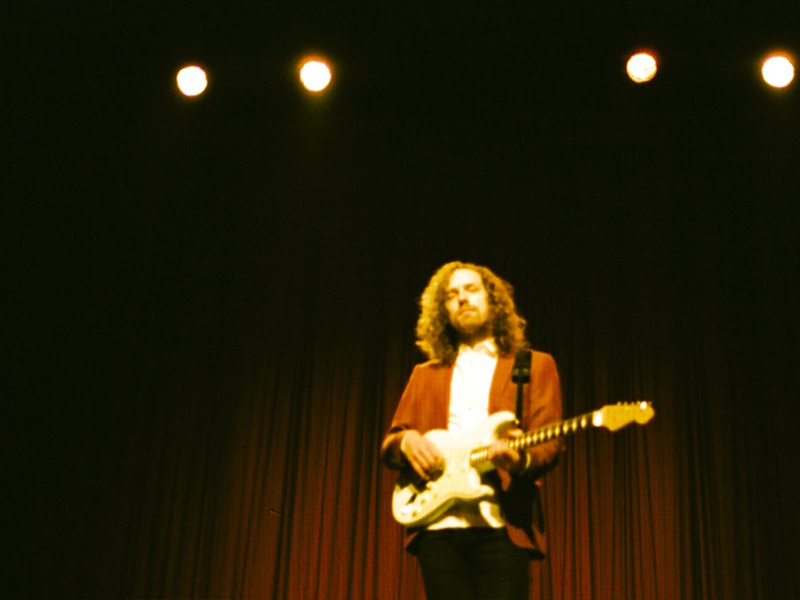 His most recent offering of "Downtown," compared by Stereogum to the "spirit of fellow Vancouver resident Dan Bejar’s Destroyer," High Ends debut album, Super Class, dropped on October 7th via Dine Alone records and in support of the release, the band is currently embarking on a tour across North America. Catch them in a city near you.